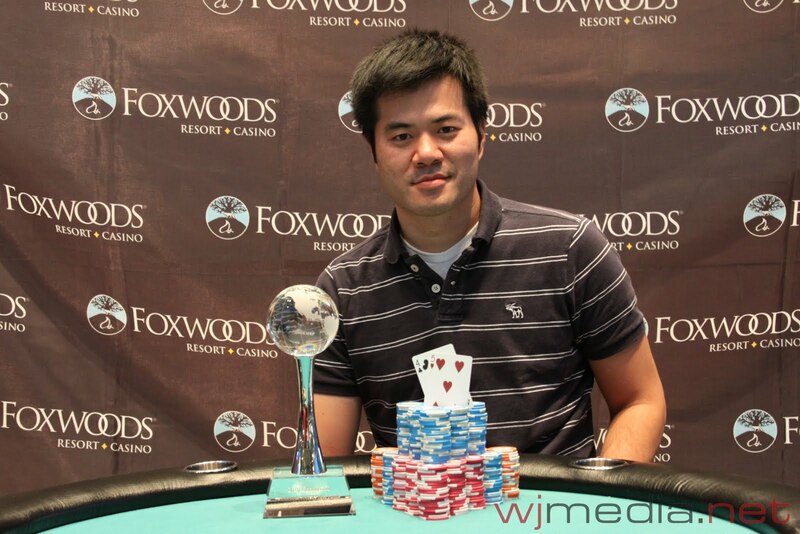 Tsung Min Lu Wins the $300 Re-Entry Event! Despite doubling up "Miami" John Cernuto just after heads-up play began, Tsung Min Lu was able to battle back to take the victory in the $300 Re-Entry Event at the Foxwoods World Poker Finals. For his win, he takes home the trophy, leather jacket and $20,664. We had a total of 759 players in the $500 NLHE Deep Stack Event at the Foxwoods World Poker Finals. The final seven players in the $400 7-Card Stud Eight-or-Better event came to the decision to do an even chop. We have reached the final table of ten in the $300 NLHE Re-Entry event. Play will resume in a few minutes. 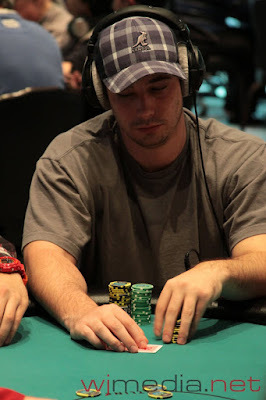 Miami John Cernuto is among the final ten players. $400 7-Card Stud 8/O Event Restart! The final twelve players in the $400 7-Card Stud Eight-or-Better event have taken their seats and play is underway. We had a total of 309 players in the $300 NLHE Re-Entry event at the Foxwoods World Poker Finals. The final 40 spots will finish in the money. Two players were eliminated on the final hand of play last night and split the payout for 40th place. At 2pm, the final 39 players will resume play to determine a winner. Ryan Eriquezzo, who finished 131st in the 2010 World Series of Poker Main Event, has had a roller coaster of a day already. He lost a monster pot early on and thought he was eliminated. He was walking away from the table when one of his table mates informed him the he, in fact, had three green 25 chips remaining from his original stack of 20,000. Eriquezzo sat back down and proceeded to double up again and again and again. Now, nearly two hours after being crippled with only 75 in chips, Eriquezzo has built his stack back up to over 11,000 with the blinds only at 100-200 with a 25 ante. $500 NLHE Deep Stack About to Begin! The $500 No-Limit Hold 'em is set to start in about 15-minutes. Players will start with 20,000 in chips. The blinds start at 25-50 and levels are 45 minutes in length.